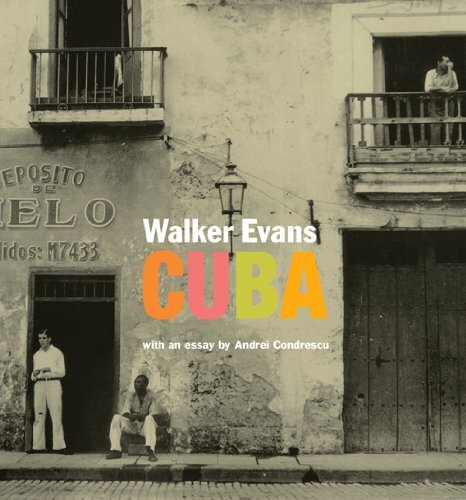 In 1933, Walker Evans traveled to Cuba to take photographs for The Crime of Cuba, a book by American journalist Carleton Beals. Beals’s explicit goal was to expose the corruption of dictator Gerardo Machado and the torturous relationship between the United States and its island neighbor. Evans’s photographs are fascinating both for their subject matter and the evidence they provide of his artistic development. This volume brings together more than sixty of these images—all from the J. Paul Getty Museum’s extensive holdings of the photographer’s work. Codrescu’s spirited text helps to provide a sense of the aesthetic and political forces that were shaping Evans’s art in the early 1930s. He argues that the photographs are the work of a young artist whose temperament was distinctly at odds with Beals’s impassioned rhetoric and shows that Evans was just beginning to combine his early, formalist aesthetic with the social concerns that would figure so prominently in his later work. Together, the images and the insightful essay provide a compelling study of a major artist at an important juncture in his career.